Everyone loves a classic and in the video game industry, many fans have clamored for certain titles to return to their roots or despaired when things have been changed in their favorite franchise. As such, whenever an older title is released with even moderate upgrades, fans of the series usually rejoice as it is a chance to play something they used to love on a current generation system. As such Tecmo Koei has taken to porting Ninja Gaiden Sigma 2, the port of Ninja Gaiden 2 and bring Ninja Gaiden Sigma 2 Plus out to Vita owners and fans of the Ninja Gaiden series. However is this port decent enough to purchase? The storyline for this port is the same thing that fans have already experienced twice already from the previous version of the game, but in case a newcomer chooses to enter at this point, the game follows Ryu Hayabusa and takes place roughly a year after the events of the first game in the series. A CIA agent named Sonia has come looking for Ryu and when she is attacked by ninjas from the Black Spider Ninja Clan, Ryu must set out to save her. Shortly after rescuing her, it is revealed that the Black Spider Ninja Clan has set out to steal an ancient treasure which has been protected by the Hayabusa clan for years. If the Black Spider Ninja Clan manages to retrieve this demon statue, they plan on using it to revive a terrible archfiend capable of destroying anything It touches and turning the world into a living hell. As such, Ryu and Sonia travel through numerous locations trying to put a stop to the Black Spider Ninja Clan’s plans, but when more mysterious foes appear things start to appear grim for the pair. Can Ryu put a stop to these plans and prevent the resurrection of the Archfiend? Ninja Gaiden Sigma 2 Plus’ storyline offers nothing new in the way of narrative and even the expanded side missions featuring Ayane, Momiji, and Rachel have already appeared in the first port of the title. To begin with the storyline for this sequel was far from stunning but worked well enough, but those entering into the series for a third time should prepare for a lot of repetition. Ninja Gaiden Sigma 2 Plus looks great on the PlayStation Vita’s smaller screen when it works right. The levels the player makes their way through are well designed and varied and the combat has a nice flow to it that is only marred whenever the game begins to falter. As far as character designs go, details have been diminished from previous releases but the characters still are rather impressive and there is plenty of gore to go around as limbs are separated, heads smashed to chunks and brutal “Obliteration” attacks are quite impressive. Also it is worth noting that the cut-scenes are still very impressive looking, though it appears they are pre-rendered as Ryu’s costume does not shift to match the one the player is wearing, though perhaps this is a good thing as you will soon find out. However all of those aforementioned things often fail to impress thanks to the game’s terrible framerate and often horrific resolution. For some odd reason, perhaps to save the game from dipping so low in frame rate, the character models often become very jagged, so much so in some cases that it appears that the game is being played on a PSP. This happens during most action sequences whenever Ryu is fighting a number of opponents and nearly all of the time when players are in the new “Tag Mode” gameplay option. It is worth noting that, again for an unknown reason, turning the first and third person camera speeds up to their highest setting does rectify a few of these issues, but even with the camera speeds turned up to max, the framerate issue continued to persist and often resulted in fights occurring in slow-motion. Ninja Gaiden has always been about trying to keep things fast paced and somewhat fluid, but unfortunately this frame-rate and anti-aliasing issue during battles often results in a slow and sloppy looking mess. Ninja Gaiden Sigma 2 Plus features some impressive sound effects that make it so the brutal combat always feels rather visceral. Slicing through enemies, blocking incoming attacks, using ninpo and more all sound rather impressive on their own and the intense combat is made all the better with the addition of these sound effects. Unfortunately the game’s background music is very forgetful and the game’s English voice acting is similarly forgetful and dismissive. It is also worth noting that, likely due to limited space or something else, the Japanese voice track has been completely removed from this version of Ninja Gaiden 2, so gamers are stuck with the run-of-the-mill English voicework. Ninja Gaiden Sigma 2 Plus still remains a title that features difficult combat that relies upon not only defending yourself often but making sure that you are well stocked as far as health and energy items are concerned. The reason for this as that even the most basic enemies can be deadly and even more so once they’ve been removed of a limb or two. However it is worth noting that since this is Ninja Gaiden “Sigma” there are a number of balance changes to make the game a bit easier. Even though enemies still are rather aggressive, their ferocity has been dumbed down a bit and the game contains a “Hero” mode that makes the game much easier for newcomers. Whenever the frame rate stays consistent, battles have a great flow to them thanks to an expansive combo system and numerous weapons at the player’s disposal. Besides Ryu’s basic sword, various weapons such as tonfas, a staff, claws for Ryu’s hands and feet and others become available, each with their own strength and weakness. However again, the frame-rate issue tends to worsen whenever larger weapons are used so sometimes players not only have to deal with the enemy’s on-screen but the slowdown as well. 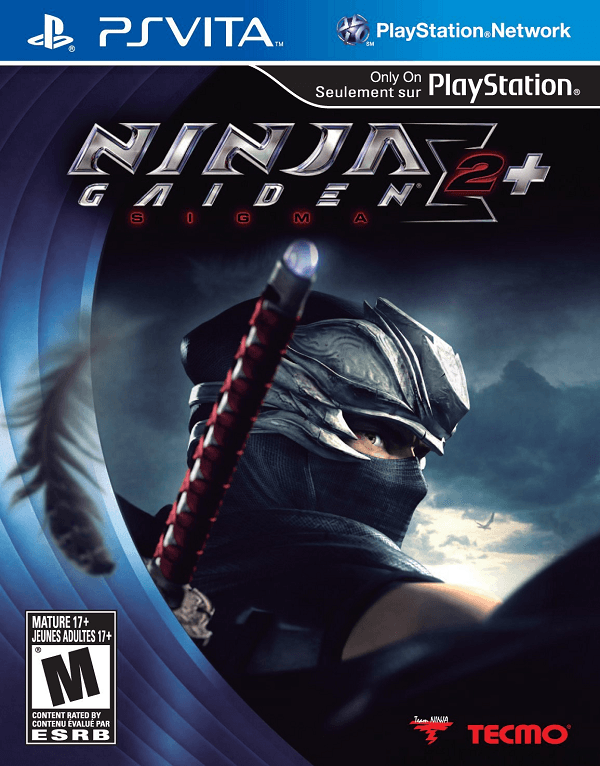 Besides the basic gameplay that we’ve already seen before, there have been two gameplay modes added to Ninja Gaiden Sigma 2 Plus in the form of Tag Missions and Ninja Race. Tag Missions involve the player selecting two characters (Momiji, Rachel and Ayane included) they will take into battle against waves of opponents. The fight is scored, but it is worth noting that players will often have to struggle to finish these missions, not due to difficulty, but thanks to terrible partner AI. While players do have a chance to switch characters, the partner AI often will die, be revived and die once more. It is also worth noting once more that the game’s abysmal frame rate issue, even with the camera acceleration fix, tends to peak during these tag team fights. Of course even if you do manage to finish a stage, there isn’t even an online leaderboard to compare your score with. Though the lack of any online co-op for this mode is baffling, then again the entire title lacks online compatibility. As for Ninja Race, players must navigate their way through entire levels within a time limit that can only be extended by acquiring green essence from slain enemies. Interestingly enough, players also have to use this essence to pull off their strongest attacks by sacrificing time. This makes for some quick decisions, but again, there are no leaderboards for bragging rights and frustrating dips in frame-rate can ruin a good run. 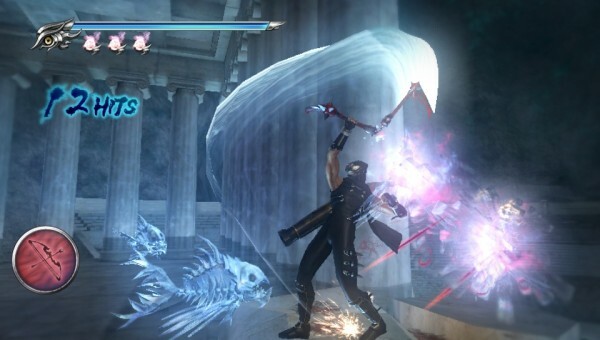 Ninja Gaiden Sigma 2 Plus has hints of greatness but unfortunately this port of a port fails at even handling itself well on Sony’s latest handheld. While the action can be great at times, and frame-rate issues are somewhat alleviated by camera adjustments, the title becomes nearly unplayable at times thanks to consistent problems. While Ninja Gaiden 2 may have entranced fans five years ago, Ninja Gaiden Sigma 2 Plus pales in comparison to the original and feels like a shoddy port of a great game.